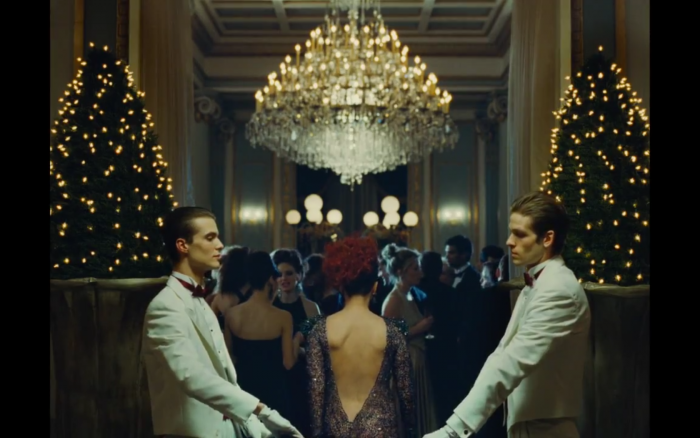 At a casual 162 minutes in length, Xavier Dolan’s third film, Laurence Anyways, could be considered an emotional epic. Exhaustingly affecting and visually astounding, the film explores the complex and consuming love between Laurence (Melvil Poupaud) and his girlfriend Fred (Suzanne Clement), and how their love slowly alters with the news that Laurence wants to assume what he believes to be his natural identity as a woman. Following the couple over a period of ten years, Dolan does not shy away from heartbreak, or glamour, or the all-consuming nature of love. He instead thrusts the viewer into the thick of it – wrestling you out of your lifejacket to see how far you can swim on your own. For me, Laurence Anyways was an obsessive watch – from the moment it began to the moment it ended, I was transfixed. Stylishly directed with the cool hand of someone who knows exactly what they want, the scenes play out like moving canvases. The film is alive with colour and movement and it’s impossible to miss this almost tangible energy that vibrates from every scene. Dolan has taken this potentially emotionally draining subject and turned it into a portrait, rather than an examination. He carefully paints these characters, and their lives, in the most intricate and honest ways – it honestly is just so, so pretty to look at (which can be troublesome if you’re supposed to be reading subtitles). Also, the soundtrack is absolutely killer – who doesn’t love a bit of 80s electronic power ballads every now and then? The performances by Clement and Poupaud are extraordinary and gut-wrenchingly believable. There’s this particularly fantastic scene where Clement goes absolutely off her rocket in a restaurant, and her anger is palpable; it’s these performances that allow you to absorb yourself completely into the film. It’s hard to walk away from this film without feeling like you know those characters absolutely inside and out, which is a difficult thing to achieve. It also speaks volumes that Dolan has elected to not put himself in front of the camera for once (except for a brief cameo in a party scene) – although he’s a fine actor, it seems to mark a maturity in his filmmaking, and considering what he was able to achieve when he can put himself completely behind the camera, I think he should do it more often. Dolan has taken a topic that is rarely handled by mainstream media and has turned it into a beautiful and harrowing tale of self-discovery, and ultimately asks the question: how far are you willing to go for the one that you love?